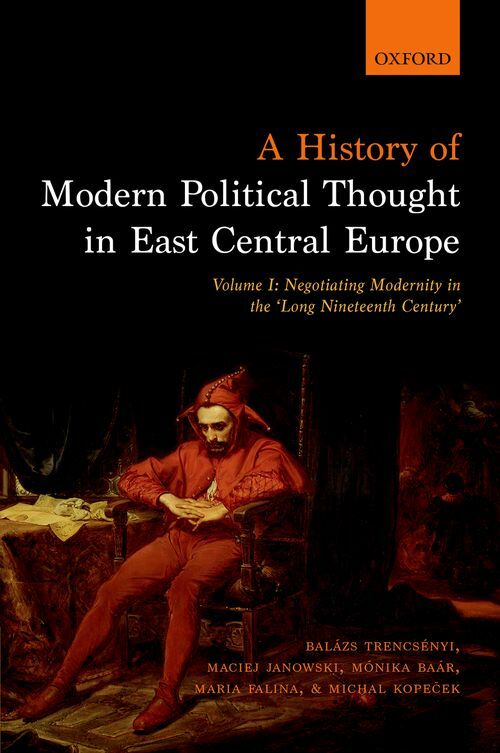 A History of Modern Political Thought in East Central Europe is a two-volume project, authored by an international team of researchers, and offering the first-ever synthetic overview of the history of modern political thought in East Central Europe. Covering twenty national cultures and languages, the ensuing work goes beyond the conventional nation-centered narrative and offers a novel vision especially sensitive to the cross-cultural entanglement of discourses. Devising a regional perspective, the authors avoid projecting the Western European analytical and conceptual schemes on the whole continent, and develop instead new concepts, patterns of periodization and interpretative models. At the same time, they also reject the self-enclosing Eastern or Central European regionalist narratives and instead emphasize the multifarious dialogue of the region with the rest of the world. Along these lines, the two volumes are intended to make these cultures available for the global 'market of ideas' and also help rethinking some of the basic assumptions about the history of modern political thought, and modernity as such. The first volume deals with the period ranging from the Late Enlightenment to the First World War. It is structured along four broader chronological and thematic units: Enlightenment reformism, Romanticism and the national revivals, late nineteenth-century institutionalization of the national and state-building projects, and the new ideologies of the fin-de-siecle facing the rise of mass politics. Along these lines, the authors trace the continuities and ruptures of political discourses. They focus especially on the ways East Central European political thinkers sought to bridge the gap between the idealized Western type of modernity and their own societies challenged by overlapping national projects, social and cultural fragmentation, and the lack of institutional continuity. Balazs Trencsenyi is Associate Professor at the Department of History, Central European University Budapest. His research focuses on the comparative history of political thought in East Central Europe and the history of historiography. He is Co-Director of Pasts, Inc., Center for Historical Studies at CEU and Editor of the periodical East Central Europe (Brill). He is the author of The Politics of 'National Character': A Study in Interwar East European Thought (Routledge, 2012), and co-editor of Discourses of Collective Identity in Central and Southeast Europe (1775-1945), vols. I-II, and IV (CEU Press, 2006-7, 2014), Narratives Unbound: Historical Studies in Post-Communist Eastern Europe (CEU Press, 2007), Whose Love of Which Country? : Composite States, National Histories and Patriotic Discourses in Early Modern East Central Europe (Brill, 2010), and Hungary and Romania beyond National Narratives: Comparisons and Entanglements (Peter Lang, 2013). ; Maciej Janowski works at the Institute of History, Polish Academy of Sciences, Warsaw, and is a Visiting Professor at the Central European University Budapest. His main fields of interest are social and intellectual history of Central Europe and the history of liberalism. He is Editor of the periodical East Central Europe (Brill) and Deputy-Editor of Kwartalnik Historyczny. He authored Inteligencja Wobec Wyzwan Nowoczesnosci: Dylematy Ideowe Polskiej Liberalnej Demokracji w Galicji 1889-1914 [The Intelligentsia and the Challenges of Modernity: Ideological Dilemmas of Polish Liberal Democracy in Galicia, 1889-1914], (Instytut Historii PAN, 1996), Polish Liberal Thought before 1918 (CEU Press, 2004), Narodziny Inteligencji 1750-1831[The Birth of the Intelligentsia] (Instytut Historii PAN-Neriton, 2008, published in English with Peter Lang). ; Monika Baar is Associate Professor at the University of Leiden. Her research focuses on modern historiography, cultural history, and political thought, with special attention to the problem of marginality. She was the recipient of the ERC Consolidator Grant in 2015, and is Associate Editor of Nationalities Papers. She is the author of Historians and the Nationalism: East-Central Europe in the Nineteenth Century (Oxford UP, 2010), and other publications include 'Wishful Thinking. Academic Competitions in National History', in I. Porciani and J. Tollebeek (eds.) Setting the Standards. Institutions, Networks and Communities of National History (Palgrave Macmillan, 2012). ; Maria Falina is currently a Lecturer and IRC Postdoctoral Fellow at University College Dublin. Her main focus is the relationship of politics and religion in Southeastern Europe. ; Michal Kopecek is Head of the Post-1989 Democratic Transition History Department at the Institute of Contemporary History in Prague. He also teaches at the Institute of Czech History, Charles University. He is the author of Quest for the Revolution's Lost Meaning: Origins of the Marxist Revisionism in Central Europe, 1953-1960 (forthcoming Brill, 2016),Editor of Past in the Making: Historical Revisionism in Central Europe after 1989 (CEU Press, 2008); as well as Co-Editor of Discourses of Collective Identity in Central and Southeast Europe 1770-1945: Texts and Commentaries. Vol. I-II. (CEU Press, 2006-07), and Thinking Trough Transition: Liberal Democracy, Authoritarian Pasts, and Intellectual History in East Central Europe afer 1989 (CEU Press, 2015).